Q: Paul and Chris, please explain how Lighthouse uses clients’ financial objectives to structure their investment portfolios. Each of the portfolios are tailored to the clients needs and represent different investment objectives ranging from an all equity growth strategy, to a blend of equity and yield securities, to primarily an income only goal. Q: Please explain how you work with estate attorneys and CPAs to help design an overall investment strategy for clients. A: We consider the total financial picture when designing an appropriate investment plan for the client. By working closely with their CPA and estate attorney, we are better able to help coordinate the client’s financial affairs. The team effort minimizes the adverse effects of current income and estate taxes, while assuring the continuity of assets for future generations. We have had a very good working relationship with the legal and accounting communities and are often asked to help their clients with investment planning. Q: Please give us a short background of the company. A: Lighthouse Capital Management was founded in 1988 by Paul Horton. The market had crashed in 1987. Stocks were cheap and investors were disillusioned. It seemed like a good time for a contrarian investor to take advantage of the emotions in the market. I had spent the previous twelve years working as a registered representative with boutique broker-dealers helping wealthy families reach their financial goals. The industry was changing and I felt the timing was right to begin a fee only investment advisory firm. I was working with a network of CPAs teaching them how to provide financial planning to their clients. The idea was for them to construct the plan and Lighthouse Capital would implement the investment portion. The strategy worked very well and I even solicited their help in designing our investment advisory fee schedule. They suggested an asset based fee with benchmarked incentives to promote better relative performance. We would be paid more for outstanding performance and be penalized for underperformance. By adding a performance incentive to our fee schedule, everyone felt we were being paid for all the right reasons, a win/win proposition. Q: What factors do you consider when determining the portion of clients’ portfolios to be allocated between equities and fixed-income investments? A: There are a number of factors that will determine the proper asset allocation for any particular client. We start with the personality of the investor to determine how they will react to market volatility. If we feel they can accept periodic downturns in their portfolio, then we will expose them to the growth opportunities of equities. If they prefer less price movement in their accounts a more balanced approach may be appropriate maybe 60% equity and 40% income. If they have to live off the return in their account, a strategy with yield as the priority would be more suitable. The investment allocation will be designed to take into consideration many factors such as the client’s age, health, investment experience, tax bracket and family status. Q: You use something termed GARP (growth at a reasonable price) for your stock valuations. Please define the term and explain why this approach has the potential of providing greater than average market returns. A: We prefer companies that are growing because that means the intrinsic value of the company will increase over time. That way we can hopefully own the company for years and minimize taxes and turnover. “Reasonable Price” refers to the fact that we are very focused on a company’s intrinsic value and only buy its stock when it trades at a discount to that value (i.e. Reasonable Price). We are attracted to companies with great business models and management, but so are many other investors, which means they may never become fundamentally cheap. So, the ability to buy such companies at a reasonable price usually comes by being contrarian – buying the stock when the company/industry is out of favor for reasons we determine are temporary or passing. Buying this way has positive attributes: First, it provides for a “margin of safety”, thereby helping to protect our client’s capital. Second, it means that to the extent we are right we get the compounding of growth and a return to intrinsic value over time. Q: Please give us a short list of investment vehicles you might use in your portfolios and explain how they work together to diversify your clients’ portfolios. A: In our equity portfolios we predominately use common stocks, but on rare occasions will use Exchange Traded Funds (ETF’s). For the income portion of our portfolios we use a broad array of securities that include corporate bonds, convertible bonds, open and closed end bonds funds, preferred stocks, ETF’s, Real Estate Investment Trusts (REIT’s) and Master Limited Partnerships (MLP’s). Q: You emphasize human emotion as an influence on the market. Please explain how you use “fear and greed” to increase the chances of making money for your clients. A: One of the illustrations we use to help investors understand the counterintuitive nature of the market is a pendulum. Just as a pendulum on a clock is controlled by springs, the market is controlled by emotions, “fear & greed”. The pendulum is constantly trying to reach the bottom of the arch, however, its momentum carries it past that point and to the extreme other side. This analogy is very similar to a stock’s price where the real worth or “intrinsic value” is at the bottom of the arch, the springs of emotion are constantly pricing the investment at a bargain or a premium. The volatility in price allows the astute investor to “buy low and sell high”. The challenge is in knowing what the company is really worth. That requires a great deal of research and experience and is at the core of our investment style. Q: How do you define “intrinsic value” and how do you determine when a stock is “undervalued”? A: We consider getting intrinsic value right as the “keys to the kingdom”, because only then can one truly know when to buy and sell a stock. Calculating intrinsic value is as much an art as it is a science. It all begins with our core fundamental due diligence and research, including: Building earnings and cash flow models; Questioning management, customers, vendors and competitors; and reading SEC filings and industry publications. Then we essentially “triangulate” various traditional approaches such as price/earnings (P/E) ratios, enterprise value/ebitda ratios and free cash flow yields. We pay close attention to valuations paid in private market transactions. In fact, we take the approach of a private equity investor – that is, what would we pay if we could buy the whole company in order to generate acceptable returns? Only then can you convert the value of the company into the proper value of a share of its stock and then compare that value to the current quoted price and consider buying if it trades at a discount to that price. Q: What fundamentals are important when you evaluate a company for its investment potential? A: We prefer companies that have good business models in industries with attractive competitive dynamics and that have smart managements. Such companies have the ability to grow and typically have high returns on invested capital which equate into healthy cash flow generation. This is where management comes into play. They are the “shepherds” of that cash flow and have to decide how to generate the highest returns with that cash flow. Smart managements know when to reinvest in their business (or not), when to buy back their stock (or not), when to pay down debt and when to return it to shareholders in the form of dividends. Q: Why do smaller companies have greater investment potential than mature ones and how do you determine the portion to allocate to the small company sector? A: We are “Multicap” investors and will buy companies irrespective of their market cap. It just so happens that we think the best investment opportunities over the past five years or so have been with smaller companies. It will not always be the case and when the time is right, we will increase our exposure to larger companies. But, there are reasons that smaller company stocks are often more attractive than larger ones: They don’t face the “law of large numbers” and accordingly, can often grow faster; As a practical matter, smaller company stocks are more volatile, creating greater opportunity for them to trade at a discount to intrinsic value; Finally, small companies lack the sell side research that larger companies often get or otherwise may just be overlooked by the market and thus lend themselves to the type of fundamental research we described earlier. Q: What is the “Lighthouse Investment Cycle”? A: First we use a “top down” approach to determine where the neglected areas of the market exist. Always remember, it is hard to find a bargain in an area that is popular. Once we have identified the best companies in an out-of- favor sector, we begin the “bottom up” fundamental analysis described earlier to determine if the company has staying power and a viable future. You have to evaluate their market share, the products, and barriers to entry, management and their business plan. The next step is to determine our own “intrinsic value” and begin the process of buying the security at a bargain price. Many times we will average in our purchases over time if the stock is not reflecting the true value of the company. You must constantly monitor the company’s performance and be patient with the stock. Once the market begins to recognize the true value of the stock, the momentum of the market will usually give you an exit point well above the price you paid. For taxable accounts we hope this cycle takes more than twelve months giving us the advantage of long-term capital gain treatment on the sale. This could mean as much as a 20% saving in the top tax brackets. Q: How long is the typical investment time horizon and what is the average annual turnover of your portfolios? A: We take a two-to-three year time horizon for a couple of reasons. First, this is a reasonable period of time for a company to fix what might be broken and right itself or for an out-of-favor industry/sector to come back into favor. Secondly, we think such a time horizon is about as far out as anyone can reasonably try to predict and model a company’s future. This is a “rolling” horizon, meaning we constantly re-evaluate and update a company’s prospects, usually quarterly. Hopefully, intrinsic value is increasing over time, allowing us to continue owing the stock. Our annual turnover matches up fairly well with that time horizon, meaning it is often in the 40-60% range, depending somewhat on general market volatility. Q: How do you define risk and how do you manage it? A: In today’s world the biggest risk to any investor is the loss of buying power. You have to stay ahead of inflation, taxes and the other erosion factors that are constantly eating away your assets. Here are some simple rules to remember when designing a portfolio with risk management in mind. First, you need a long time horizon. The markets can be volatile but will provide a somewhat predictable rate of return over a long period of time. Patience pays when investing. Second, do not put all your eggs in one basket. We have all heard the saying but, after starting out with a well-diversified portfolio, too many investors will tend to migrate their assets into the most popular areas of the market. When the inevitable downturn occurs, they have no place to hide. You must constantly review your investments to detect over and under exposure in a variety of investment options. Lastly, know what you own. If you have a good understanding of the companies you own you can better control your emotions when events occur that might cause the price of the stock to be temporarily trading below what it is really worth. The lack of a disciplined approach to investing is probably the biggest cause of failure for most investors. Q: How do you go about structuring a portfolio so that it is adequately diversified? A: First, you have to determine what is suitable to accomplish the client’s goals with the least amount of risk. If we can achieve the desired rate of return with a more conservative approach, then it is prudent to spread the risk among a number of asset classes and investment vehicles. We strive to limit our exposure to any one idea or market sector. For clients who need current income, we design a strategy using yield securities. Of course it is important to keep in mind the trend of interest rates and the soundness of the companies backing debt instruments. You can also use MLP’s, REITs, preferred stocks and other high dividend yielding securities to increase your income while reducing the volatility of the portfolio. You simply have to work harder to find suitable ideas that will achieve the stated objective while not subjecting the investor to undue risks. Q: Do you do most of your research internally or does it come from outside sources? A: Almost all of our research is internally generated as we previously described. While we have access to most research from Wall Street firms, we do not make investment decisions based on that research. There are some regional research boutiques that occasionally do good work and are close to the companies they follow, and so we will pay attention to some of them. Q: Do you need the approval of a committee before you decide to invest in a company or does one person have veto power over which stocks are chosen? A: We have an investment committee that meets each Monday morning to review the current positions and discuss buys and sells that may occur during the week. Also discussed are the trends in the economy, markets and world events. Every new investment decision has to first be approved by senior management. The members of the committee consist of our research staff and portfolio managers. An investment can be vetoed if the portfolio manager feels it is unsuitable for a particular client or if the investor has restricted their account from owning certain investments. Q: Who are the principals in the firm and give us a short biography? Paul has devoted his career toward assisting families and individuals with asset accumulation, estate planning and investment management. In 1988 he founded Lighthouse Capital with a mission focused on personalized client service, superior performance in investing, and a unique, performance-driven fee structure. Paul is a graduate of Texas Tech University with honors and is a recipient of Tech’s Outstanding Entrepreneur award. 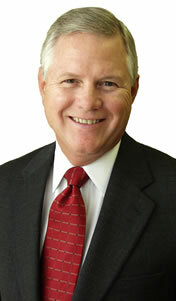 He is a member of Leadership Houston and the Greater Houston Community foundation. He serves on the Advisory Registry for the Univ. of New Mexico, Baylor College of Medicine and Texas Tech. In 1997, Paul was a finalist for INC. magazine’s Entrepreneur of the Year. Chris provides overall guidance for the firm’s investment operations and is portfolio manager for the Lighthouse Opportunity Fund. Prior to joining the firm, he was the manager of JP Morgan’s Mid-Cap Core Equity Funds with over $900 million under management. Chris is a graduate of the Univ. of Houston and spent the early years of his career in public accounting with KPMG and in the energy transportation industry with Hollywood Marine. He is a Certified Public Accountant, a Chartered Financial Analyst (CFA), and holds the Series 7 and Series 63 securities licenses. Chris is a Principal and Director of the firm. Bill is a graduate of The University of Texas and started his career with the international accounting firm of Arthur Andersen & Co. (now Accenture) where he was a partner in the Consulting Division. In 1980, Bill founded the Choice Davis Group, a venture capital company which created, acquired and managed numerous investment partnerships and enterprises primarily associated with the energy industry. Prior to joining Lighthouse, Bill was a client of the company for eight years while sailing around the world on his yacht, First Choice. As a former client he brings a unique perspective to our management team. He is a Principal and Director of the firm. Q: If investors want more information on Lighthouse Capital Management, do you a have a Web address and what kind of information does your Internet site provide? A: We will be happy to send a brochure on our firm or they can visit our website at www.lighthousecapital.com and get all the information an investor will need on our services, performance, our mutual fund and be able to review the different types of portfolios we offer. They will be able to read past LIGHTHOUSE REPORTS, our monthly research newsletter, and can contact us to get on our email correspondence list. We go to great lengths in our effort to educate and communicate with our investors. We find that if the client is familiar with our investment style and philosophy they are better able to remain patient during rough periods in the market. They can also download our Advisor Disclosure form ADV part II. Q: Your Internet site has several quotes about the market. Do you have a favorite or one that sums up your philosophy about investing? A: There are many quotes you could use to illustrate our methodology when investing, however, we pride ourselves most on the unbiased advice provided to our clients. When you invest with Lighthouse Capital Management you are entering a contract where we will always make decisions based on “putting the client’s interests first”. By following that creed we know exactly what to focus on each morning and we never waiver from that promise.